ASM Electrical Taunton - Alarms/Security, Electrician based in Bishops Hull, Somerset. ASM Electrical Taunton are a family run NICEIC registered company. We are based in Taunton and cover up to Bristol and down to Exeter. We supply quality service at very competitive price. We are a Local company that offers the finest quality installations in the south West of England area and always aim to meet our customers objectives, budget, quality and timing. If you require anything from moving a single socket to a full installation or re-wire, 3 phase work, fire detection systems, security systems and CCTV installations. 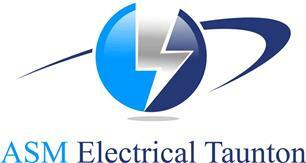 Testing and inspection (EICR) we are one call away. We don't operate a Call out charge so you only pay us for the work we do. Please feel free to call us at any time.